Erix Home Improvement LLC's painting and drywall services include: interior and exterior painting, drywall installation and repair, plastering, cabinet painting, wallpaper removal, and plastering. We pride ourselves on quality workmanship. Attention to detail sets Erix Home Improvement LLC apart from other painting and drywall contractors. We do a professional job from start to finish. We've been in the painting and drywall business for 7 years, making homes like yours look great. Erix Home Improvement LLC interior painting services include: walls, doors and trim, and ceilings. We provide computerized color matching to ensure you get the exact color you want. We guarantee that your paint job results in a uniform color application over the entire surface. We've been painting homes since 2012. 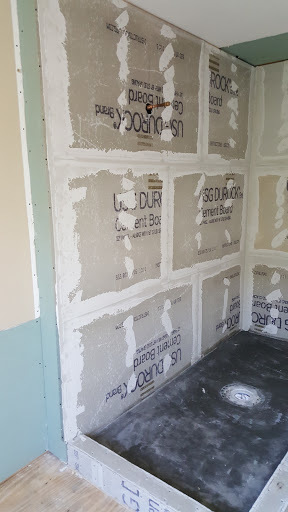 Erix Home Improvement LLC installs drywall and blue board on interior walls and ceilings. All installations comply with code. You want to make sure your home improvement contractor is using the right drywall for your renovation project. We don't cut corners at Erix Home Improvement LLC. We've been in business since 2012. Color and texture gives your home personality. Erix Home Improvement LLC can help you select a color scheme and finish that reflects your personal style and complements your home's decor. Call (240) 207-1192 to schedule a free painting or drywall quote.